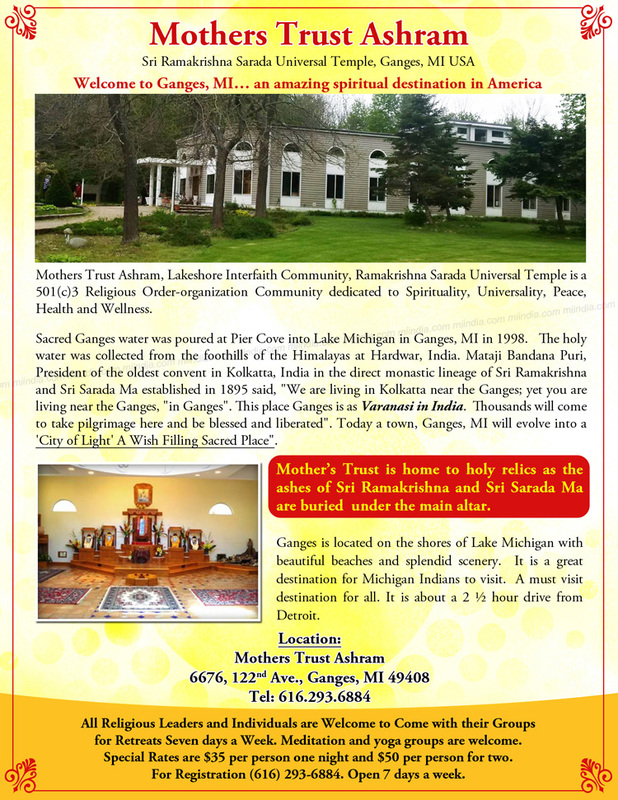 Mother’s Trust is home to holy relics as the ashes of Sri Ramakrishna and Sri Sarada Ma are buried  under the main altar. Ganges is located on the shores of Lake Michigan with beautiful beaches and splendid scenery. It is a great destination for Michigan Indians to visit. A must visit destination for all. It is about a 2 ½ hour drive from Detroit.